Li Chi Shen one of China's greatest herbalists wrote in the 16th century in his magnificent Materia medica of no less that 1800 plants: I would rather have a handful of Wucha (Siberian Ginseng root) than a cartload of jewels and gold. His opinion was that Siberian ginseng was best taken to support and sustain good health IE to normalize bodily functions. Siberian ginseng is classed as an adaptogen and a true tonic herb meaning it will contribute to your well-being where it is most needed. A bit likes a good friend that knows exactly what kind of help you need and when you need it. The definition of an adaptogen is: To have a non specific action. To enhance the body's ability to cope with mental or physical stress without being stimulatory. To be safe, non toxic and have no harmful side effects . 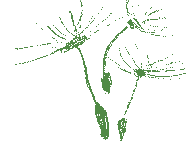 The phrase adaptogen was coined by Russian physician and scientist Nikolai Lazarev in 1947. In today's society most of us are subjected to subtle but constants stressors of modern life yet have no real outlet for the ancient instinct of flight or fright, caused by stress, it is perhaps not surprising that much of modern research has centred on Siberian ginseng's contribution to withstanding sustained physical and mental stress by moderating the release of cortisol and adrenaline from the adrenal glands, thereby balancing the body's fight or flight response to stress. A moderation of stress response leaves more resources of your daily intake of vitamins, mineral etc. available to perform all the other bodily functions. 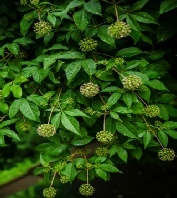 Hence perhaps the reason both modern scientific research and ancient and more recent empirical evidence * suggest that Siberian ginseng can make a positive contribution towards improving or maintaining the immune system, endurance of stress mental and physical, greater tolerance of chemotherapy. Balancing and maintaining healthy blood pressure and blood sugar levels. Colour vision, acting as an antiviral, faster recovery from illness in general, improved sexual function --- to name but a few. 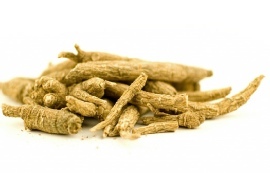 Siberian ginseng cultivates fairly easily as it tolerates a variety of soils, making it more widely available, sustainable and because of this is much more economical in use than other Ginsengs. Roots take no less than 5-7 years to mature for harvesting but as they say–– good things are worth waiting for! * Empirical evidence: Evidence obtained by observation, experience and experimentation.